My 2015 review / 6 months of blogging? 2015 has been the year I started blogging so here is a little summary of how’s it’s gone. Almost 6 months of blogging has flown by. I love writing and love that now I’m a newly SAHM I have something to concentrate on and use my brain for. Don’t get me wrong, being a SAHM is hard work, it’s non-stop (esp with a baby who doesn’t really nap! ), but I love being a mummy and wouldn’t have chosen to become a SAHM if I didn’t. So really this has been a year of changes, not only resigning from work, but also we moved house to our ‘possibly forever home’ – aka I can’t face moving for a long long time house (you can read about my moving house tips here). 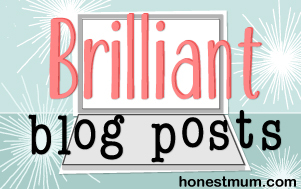 Found lovely communities of like minded bloggers: I love the community on Twitter and in the Linkys I love. 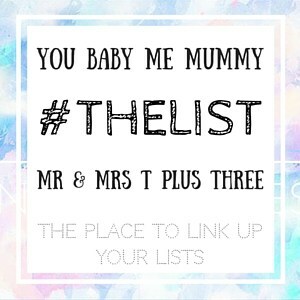 Big shout outs to #KCACOLS, #BestandWorst, #TheList, #abitofeverything and of course #Coolmumclub. Received recognition: I was flabbergasted to be Mum Blogger of the Week by Mummy Pages in October, just 3 months after I started blogging, and, was very happy to be included in Tots100 Good Reads in November too. But seriously every time mumsnet, netmums, Tots100 RTs one of my posts I’m on cloud 9! Written a few reviews – Ume One pushchair, Tommee Tippee Perfect Prep Machine, Ewan the Dream Sheep to name a few. Writing reviews was one of he reasons I started this blog, I always look for ‘real’ reviews before buying anything, and so thought I could just throw my oar into the water too. Started my own linky: #TheBabyFormula, we have a lovely community and amazing blogs linking up each week. Seriously most posts are welcome 🙂 ?your posts where something is 100% or 2/10, your posts with a funny formula (baby + spag bol = bathtime! ), or any number-y posts… Think 11 Things About Me or 10 Reasons I Hate Mondays! 8am Mummies, How Do You Do It? I’m MummyPages Mum Blogger of the Week!! Great post lynne. I’ve only recently got seriously into blogging. Found the vast array of linkys mind blowing. Will definitely check out the ones you shouted out. Heard of #kcacol but not the other 2. You’ve achieved a lot in 6 months. Well done you. Baby Isabella recently posted…Our Blog Review – 2015 in Numbers! Oh wow your blog is only 6 months old? You’ve done fantastic. Well done! I’m so glad that you’ve enjoyed blogging – I started blogging privately and have definitely enjoyed it so much more since I “came out” in the blogging community. Everyone is lovely!! Wow, you’ve achieved so much in 6 months, that’s really impressive! I’m 3 months in, and while I’ve not achieved anywhere close, I’m finding blogging really helpful for my state of mind and getting my thoughts clear on things. I’m loving it! Laura’s Lovely Blog recently posted…How Do You Find Time To Read? Mommy’s Little Princesses recently posted…Why won’t my toddler take the plunge and start potty training? A Moment with Franca on Toddler puzzles: Orchard Toys Once Upon A Time puzzle?